1. I deleted your email because you didn’t really send it to me. Have you ever actually written “Greetings,” to someone in an email in the last 5 years? I’d recommend using “Hello [first_name|proper]!” or “Hi [first_name|proper],” instead. 2. I deleted your email because you didn’t properly address my unique needs. Don’t lump buyers and sellers together. They don’t even like to sit at the same table at closing much less do they appreciate being lumped in with everyone else on your emails. Don’t have time to create all those emails? No problem! Check out our marketing packages to see how we can help you reach your contacts each month. 3. I deleted your email because your subject line wasn’t compelling and/or looked like spam. You have nanoseconds to “hook” me with a catchy subject line. In my post from last summer, I wrote a section on how you can prevent your emails from being marked as spam. 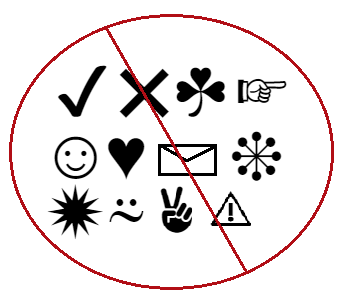 Well, in addition to email providers catching spam and auto-junk-boxing it, people aren’t likely to open messages that use all caps, stars, hearts, and other atypical language characters. People also aren’t likely to open messages that aren’t interesting. The average person sends and receives 121 emails everyday. How will you separate yourself from those other 120 emails? 4. I deleted your email because you didn’t provide anything of value in your message. 65% of all email gets opened first on a mobile device. The body of your email needs to be short and sweet and get to the meat of the content fast. The days of blasting your entire database are long gone. Your home buyers likely do not care about your new rental property, so don’t make them read through, or simply delete, an advertisement for it. If you send them emails that don’t directly relate to them, the next time you want to send something that does relate to them, they’re less likely to open it, because they associate your name with spam. 5. I read your email but I deleted it because you didn’t include a call to action. Never “look forward” to anything in your messages. Click this link to find out why now is a great time to sell your home. Contact us for your free home valuation today! Click here to start your [area name] home search and let me know if there are any properties you’re interested in seeing. Make sure you are sending relevant information to the groups of people who would benefit from it most, including a solid call-to-action at the end, a compelling subject line, and a friendly salutation. These are all strategies that will help get your email opened and read more often. 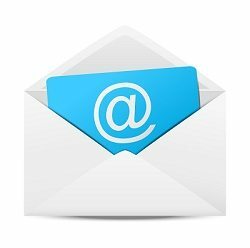 What kind of subject lines and emails have been best received in your experience? We’d love to hear them in the comments below!